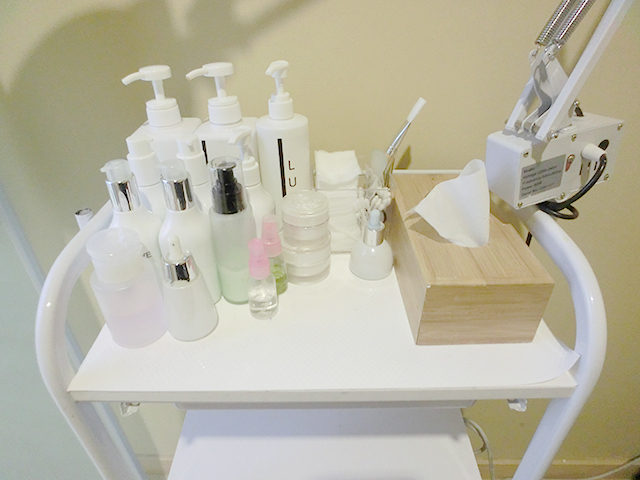 Quite sometimes back, I Instagram about me visiting LUSH Aesthetics for their laser treatment. This treatment targets various skin conditions and imperfections such as acne: open pores, pigmentation, brown spots, dull skin, aged skin, fine lines and wrinkles. It’s also commonly used for pores, pimples and pigmentation. The core benefits of this treatment would be an immediate whitening and exuding radiance from the skin with absolutely no downtime. You can apply makeup right after the treatment and resume daily activities immediately, as your skin wouldn’t be red or swollen from the laser. This laser facial is painless and safe for everyday use! After filling up my personal details form, my therapist led me to their treatment room, the room was small, cosy and simple. 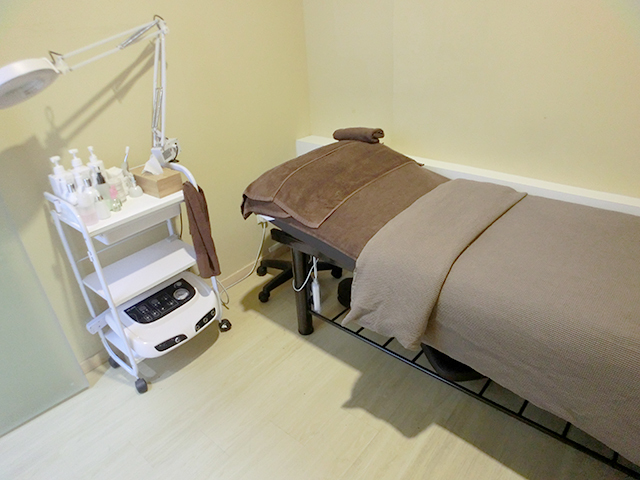 A simple room with a bed and LUSH’s skincare products. I have to be honest that you can’t see much improvement from my skin because my skin not that bad from the start. You can take a look at their website’s before and after picture for serious problem, the changes is very obvious with just 1 session. I was so impressed! For me, there’s only a few problem I faced which is acne popping out every month due to hormones change, dry skin and also lines under my eyes area. *cough* I’m aiming for the immediate whitening and exuding radiance from the skin benefits from this treatment actually. First step will be cleansing, to make sure there is no residue left behind! Followed up by exfoliation to perfectly clear away all the dead skin. Applying treatment gel all over face, to protect the outer layers of the skin. The therapists doesn’t allowed me to take a picture of the machine, so there wouldn’t be any images of the machine used on my skin. The laser facial takes around 30-40minutes and I was so impressed to see a slight difference in just one session, my face is tighter, firmer and brighter. Unfortunately, the light is too dimmed so I couldn’t capture a picture. I also noticed that it reduce my acne redness!!! Post-trial price is really affordable given that this laser facial has instant and amazing results in just one single session. The original price for this treatment is actually $388, means you’ll save $363!!! OH-MY-GOD!!! World Largest Etude House Flagship Store!